Amy McHodges - A Salute to All Thoughts, But Mostly Mine: Tuna and Jello? In the course of my great adventure helping my parents sort through my late grandmother's belongings, we sometimes feel like archeologists. Recently I found a Woman's Day magazine from January 1965 and flipped through it fascinated with how different some things are and how some things are still the same. 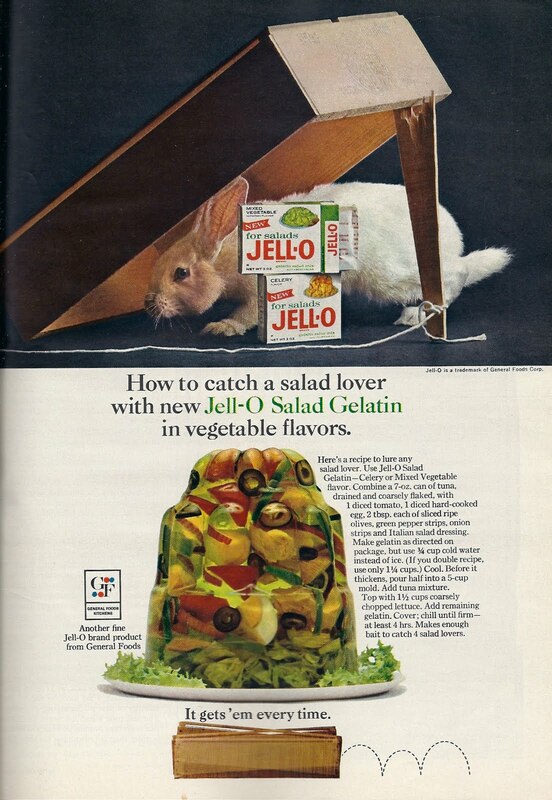 This Jello ad caught my eye. 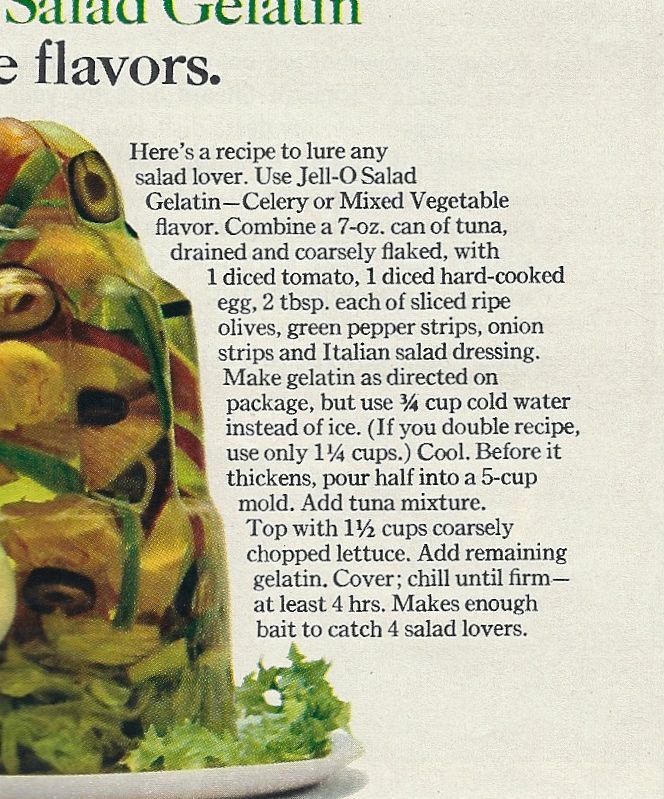 That's right, tuna salad in mixed vegetable flavored jello. Just in case the type is too small for you to see, let me show it to you closer up. I have heard complaints from people about their moms fixing tuna casserole too often during their childhood, but this was brand new to me. Tuna, boiled eggs, olives, Italian dressing, and Jello. I want to know who pitched that recipe to the Jello folks. What brilliant chef decided that all tuna salad needed to give it that special touch~wrap it in Jello! I am intrigued and repulsed at the same time. So, no, I don't recommend this as a special Mother's Day recipe. Sorry if I grossed anyone out, I'll try to make up for it tomorrow by posting my favorite chocolate pound cake recipe!